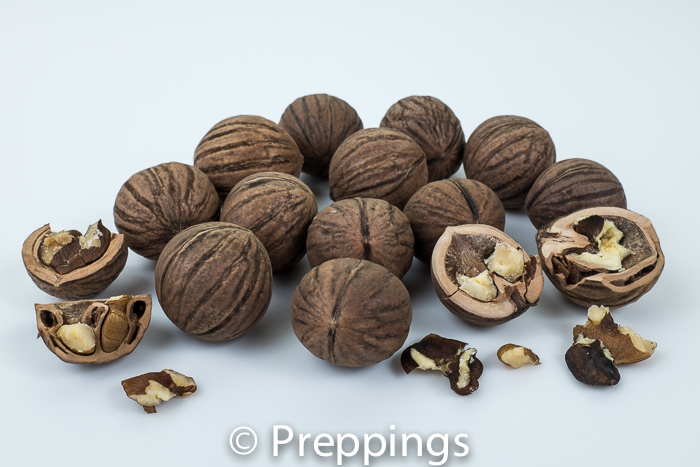 The Black Walnut, or American Walnut, is a golf ball sized walnut with a very hard shell that makes it difficult to extract the meat. They have an astringent-bitter-earthy-nutty-slightly sweet-slightly bitter flavor and dry-firm texture. They can be used in sweet and savory applications such as baked goods and desserts, Pesto Sauce, salad, sauce, or ground up to make a flour or nut meal.